Get set for sporty fun with Hello Kitty! Leap into sports, games and action-packed puzzles galore as she prepares for the Olympic Games! To be on top form for the Olympics, Kitty is getting busy with all her favourite sports, including gymnastics, swimming, tennis, football and even a bit of weightlifting. Take part in the sporty excitement in her fantastic book of puzzles, games and colouring. 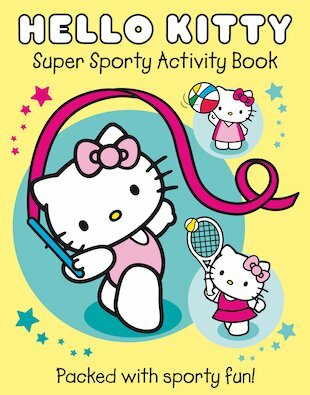 Hello Kitty’s healthy activities will put a spring in your step! Make some new year’s resolutions with your favourite feline friend!